1. Which Scooby Doo character best describes you in high school? 2. How many rejections did you receive before you sold your first book? 3. Bon Jovi or Tim McGraw? Historical, Contemporary, Non Fiction. It says I have a lot of stuff in my brain to get out! 5. When you give into a craving for fast food, what’s your drive-thru destination, and what would be found in your bag? For fries, it’s McDonald’s. Burgers used to be Wendy’s until they changed buns, and now they’re gross, so now there’s nothing burger-wise I can’t live without. And nothing beats a cherry limeade or cherry Dr. Pepper from Sonic. 6. 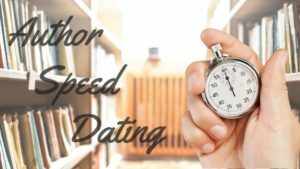 Which is your preference to write: love scenes or murder scenes? 7. Jane Austen or Stephen King? 8. What is your best advice to a writer who has just received a rejection? Keep at it. But first, have a cupcake and some champagne. Most people don’t even have the guts to submit. 9. Are you more dangerous in a bookstore or a shoe store? 10. Which heroine from one of your books is most like you? Mary from The Lawman’s Redemption. 11. The Bachelor or Sons of Anarchy? Please kill me. Seriously. No. Just No. 12. What is the first thing you do when you finish a book? 13. Name one thing you wish you could change about yourself. The size of my bank account (bigger, of course!). 14. Is your perfect vacation involve high-altitude and the word “jump” or umbrella drinks at poolside? For the Sake of the Children (releases in January 2017). It gutted me to write. 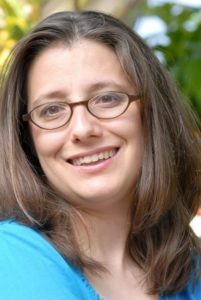 Polly MacDonald intends to tame Mitch Taylor’s five mischievous children, even though every other nanny has fled. She needs this job—and Mitch’s brood sorely needs affection. Perhaps their widowed papa does, too. But when the children begin scheming to make her their new mother, Polly must resist. She’s seen too many bad marriages to want one of her own. Mitch has come to Leadville, Colorado, to escape a scandal, not find a wife. After the disaster of his first marriage, he’s sure he isn’t husband material. Though Polly’s tender care is working wonders with his children, Mitch knows he should keep his feelings to himself. But can two wary hearts deny the dearest wish of five eager matchmakers? 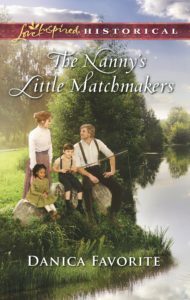 The Nanny’s Little Matchmakers may be purchased at many retail locations as well as through these online retailers: Amazon, B & N, Harlequin. A self-professed crazy chicken lady, Danica Favorite loves the adventure of living a creative life. She and her family recently moved in to their dream home in the mountains above Denver, Colorado. Danica loves to explore the depths of human nature and follow people on the journey to happily ever after. Though the journey is often bumpy, those bumps are what refine imperfect characters as they live the life God created them for. Oops, that just spoiled the ending of all of Danica’s stories. Then again, getting there is all the fun. Website: http://www.danicafavorite.com, Twitter, Instagram, Facebook. Well, I decided to change one of my answers. For burgers, it’s now Larkburger. I just ate there the other night, and while there’s no drive through (boo! ), the burgers are definitely worth going in for! Thanks for having me Dana!